Mishimoto Titanium Heat Wrap Set UNIVERSAL - Pann Auto Performance - San Diego largest aftermarket automotive performance parts - What do you drive? Mishimoto Titanium Heat Wrap will help reduce engine bay temperatures with its thermal protection. Titanium Heat Wrap will create cooler air intake temperatures, enhancing overall performance. 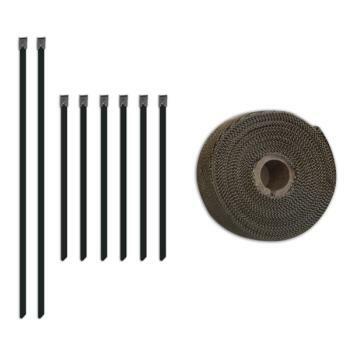 The set includes a 2” x 35’ roll of Mishimoto Titanium Heat Wrap and Stainless Locking Ties.